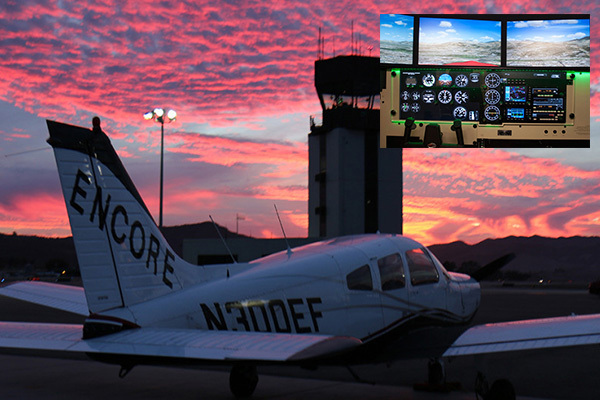 Practice the maneuvers and flight controls techniques using an FAA Approved full-motion flight simulator for 25 minutes before taking the controls in a real aircraft for 50 minutes. During the actual Aircraft flight you will at the controls for the most part with knowledge you acquired during the simulator training. You will enjoy the beautiful scenery of Los Angeles, flying over Hollywood sign and other prominent LA landmarks. The total experience will take 75 minutes.